Looking for the right 97 Business Secrets that will show you how to improve your Business Performance? 97 Business Secrets is the result of practical, real world results and co-authored by Paul Dwyer, renowned Author, Businessman and Business Marketing Consultant in Brisbane. Paul Dwyer has co-created a series of Business Secrets Marketing Workbooks that are specific to your business. Each Workbook contains 97 Business Secrets that will show you the proven Business Marketing Strategies to market your business, with remarkable success. In Paul Dwyer’s Blog and his Articles Sections you will find valuable advice, tips and hints to assist you with your business marketing. So many of you business owners don’t know how to market your business. Some of you have failed in business by implementing basic marketing strategies without understanding the concepts of marketing. Paul wants to avoid that happening specifically to you and others. There are basic concepts of marketing that all business owners need to understand, so that you will know how to market your business successfully. One strategy may be profitable for one business and yet not for another. Why would that be? In the 97 Business Secrets series, Paul Dwyer explains that as an individual business owner, you need to understand your own business. How can you best create a strategy for your business and understand what action is needed for you if you don’t know and understand what your business is? Firstly, what is your product or service? You would be surprised at how many business owners cannot easily answer this important question. What are the benefits that your product or service gives to your customers? What is unique about your business, your product or your service that you are offering your clients? Why should they do business with you? These are just a few of the questions that every business owner should know and understand about their business, before they implement any sort of business marketing strategy. Who is your target market, the people who want and need your products and services? Where would you find your target market? How would you communicate with them? How would you show them that you are the answer to their problem? Every business would have different answers to the questions raised. This is why your business needs its own unique business marketing strategy. 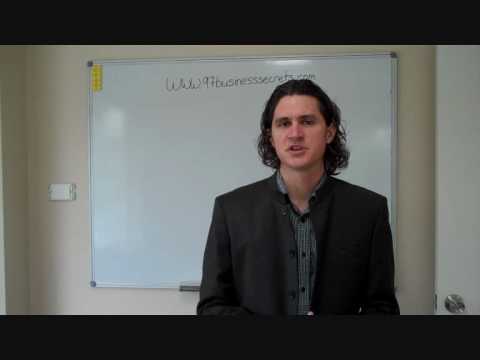 Paul Dwyer is an experienced Business Marketing Consultant in Brisbane. In his 97 Business Secrets series, Paul Dwyer shows you how to analyse your business from a marketing perspective. He shows you how to create a custom business marketing strategy to help your business succeed. You can learn more About 97 Business Secrets and Paul Dwyer. As a Business Marketing Consultant in Brisbane, Paul Dwyer works only with a select number of high-end clients, taking their business through to the next level. Paul is action oriented and enjoys working with business owners who want to participate in their own success. If your business needs the help of an expert Business Marketing Consultant in Brisbane, then you need to Contact Paul now. This opportunity may not arise again. Take Action Now and fill your name, email and Phone number together with a short message in the attached form. Paul will be in contact with you soon.